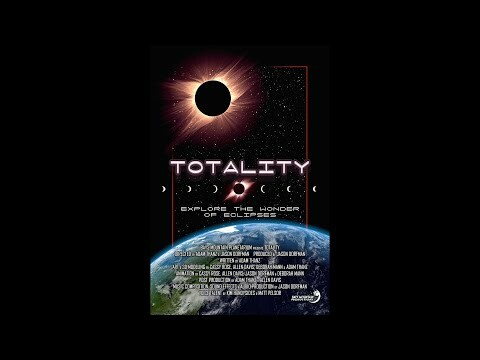 “Totality” – “Totality” is a fascinating look at all the wonders of eclipses, especially total solar eclipses. An eclipse is described simply as when one celestial object bl ocks another from our view. This program, produced by Bays Mountain Planetarium, examines what eclipses are, how and when they occur, and what wonderful sights they create. We also look back to a fasc inating period in scientific discovery when general relativity was proven with the photographic recording of a total solar eclipse. Our production includes a variety of wonderful styles – from spectacular space environments to humorous pop-up books. A very special part of the show relates, in a very human way, what happens when you are caught in the shadow of the Moon and the Sun is p lunged into a total solar eclipse. You will love this program.